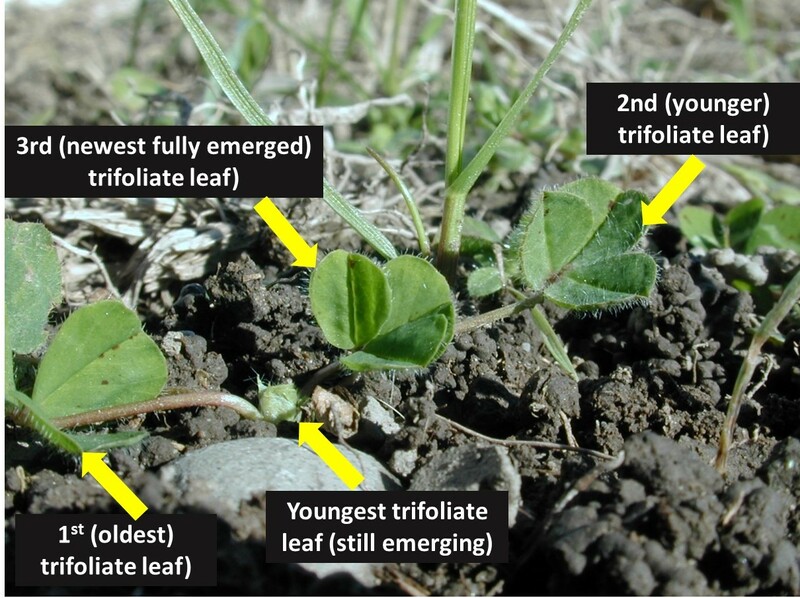 The recent early autumn, record rain in North Canterbury and other east coast areas will give perfect conditions for an early flush of sub clover seedlings in dryland pastures. In milder coastal areas and north hill faces, if sub clover/grass pastures have an average of 10 sub seedlings per hand palm area (0.01 m2), we can anticipate up to 4 t DM/ha total autumn pasture production. Pessimists will of course suggest all will end in tears if it doesn’t rain again till the first of May. However, the likelihood of a false strike after over 100 mm rain may only occur on very stony soils with low water holding capacity. Where possible, dryland farmers who had over 30 mm of rain and know their sub clover numbers are low should consider direct drilling sub seed at 10 kg/ha as soon as possible. At Ashley Dene on Lismore stony soils we have had success by grazing old cocksfoot as hard as possible before drilling. Keep grazing until sub seedlings are emerging. Spell until most seedlings have three or four leaves then graze enough to keep on top of grass competition. For new pastures, a more complete establishment job can be done with double spraying and a summer fallow or even just one autumn spray before drilling. Some grass seed may be needed with the sub clover but not too much. Perennial ryegrass at 5 kg/ha or 2 kg/ha of cocksfoot is plenty. Higher grass rates will smother clover and the nutritive value of pasture for lactating ewes in spring will be disappointing. The value of keeping on top of summer tag in anticipation of autumn rain will be illustrated this March. Paddocks where sub clover is being encouraged by good summer pasture control will leap away if they have had the early rain. It would be instructive to compare sub clover vigour in paddocks/hill blocks which had been well controlled with those where there was not enough stock power to get full control of late spring growth. For areas that missed on the big recent rain do not despair. Shortage of feed going into autumn may mean a larger percentage of pastures on the farm are brought under control prior to the first 20 mm plus autumn break rains. In anticipation of that there are two options, sow now before rain or wait till after. Is it possible to get a drill into the ground before rain? Summer fallowed areas can be drilled now. Some sub clover enthusiasts would advocate broadcasting sub on to dry hill country before significant rains come. Keep grazing until sub seed starts to germinate, then get stock off until sub seedlings are obvious with several (3-4) leaves. It can be argued that broadcasting seed is wasteful as only a few seeds will establish, down to perhaps only 1 in 100, but maybe that is the only way to get sub going on steep hills; the Tiger Moths over sowing and top dressing in the 1950s achieved it. One established seedling from a hundred seeds when sub is sown at 1 kg/ha will give 1 seedling/m2. At that establishment rate you would get 10 sub seedlings/m2 from the recommended 10 kg sub clover/ha. However, if there is a prolonged moist, cool period following a flush of germination much higher establishment rates can be expected. 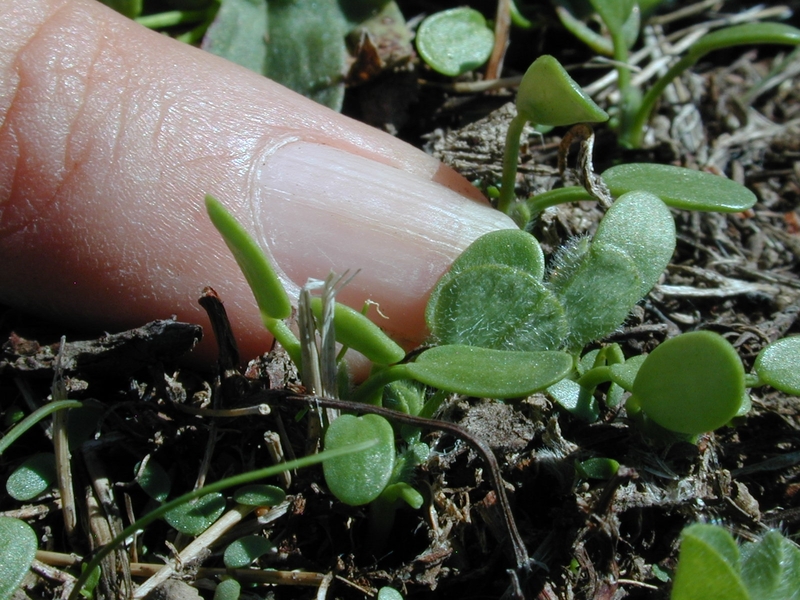 Because seedlings are often few and hard to find after aerial over-sowing consider spreading a handful of seed along a thin line about 10 m long on the hill side the same day as seed is flown on. Monitor the germination progress of seed in the high seeding rate along the line. 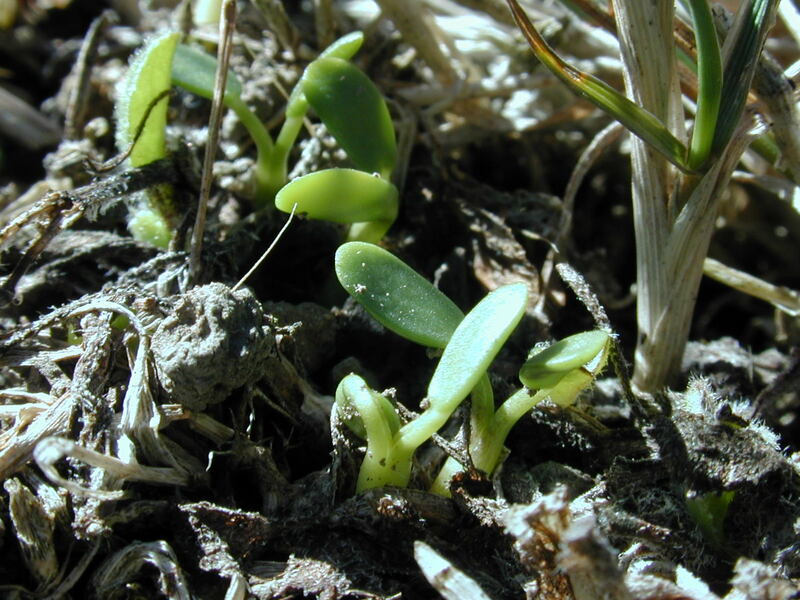 A large number of germinated seed displaying green cotyledons will indicate it is time to get stock off the block for three to six weeks. 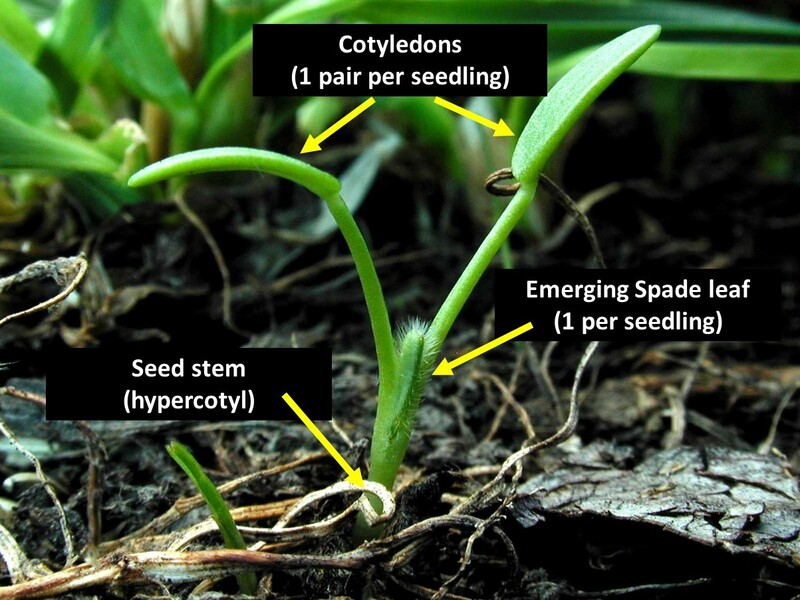 Temperature drives leaf production so spelling to protect seedlings after late summer germination may need only three weeks but cooler conditions later on will slow leaf appearance. Later sowing after an average autumn break at the end of March means the chances of a false break are reduced but seedlings emerging in mid-April will grow slowly as temperatures decrease. Waiting till rains come before seeding has some advantages but on balance it may be best to have seed in or on the soil ready for when rain arrives. 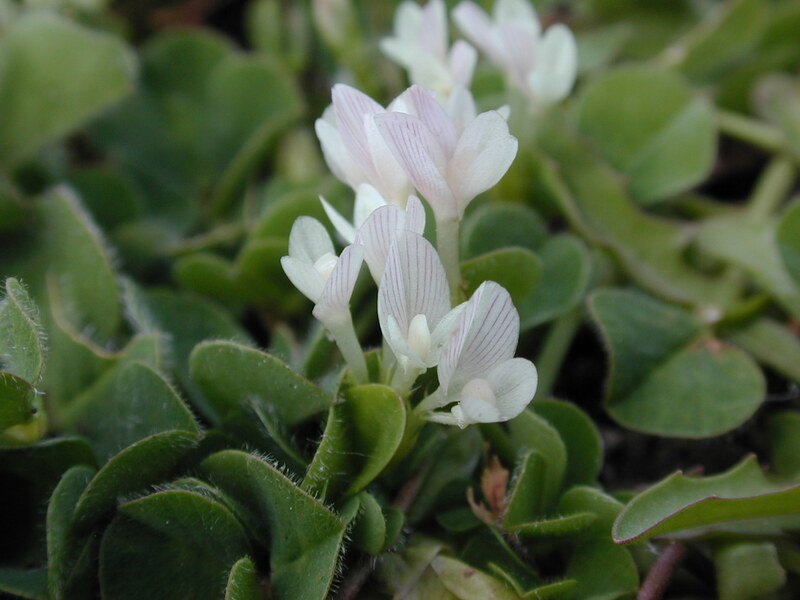 The low autumn establishment rates from broadcast sub clover may sound dismal but be encouraged by the ability of each plant to set at least 100 seeds in spring. Maximise seed production in the first spring after sowing sub clover by lambing on the new pasture with a moderate stocking rate. Once the small white sub clover flowers are obvious spell the pasture for up 8-10 weeks. Then graze the mature “hay”, ideally with cattle. Unless otherwise noted, content on this site from the Lincoln University Dryland Pastures Research Team is licensed under a Creative Commons Attribution-NonCommercial-NoDerivatives 4.0 International License.